Born in Caracas, Venezuela, Carola is the Founder of the Hellinger Institute of Venezuela and Director and Founder of the Reconstructive International Integrative Holistic School. 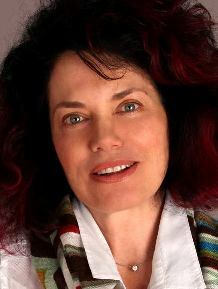 Creator and developer of her independent movement: RECONSTRUCTIVE “Ancestral Quantum Medicine” – the interwinding between a journey inside the shamanic ground with the use of sacred plants experiences (“ayahuasca”), family constellation work according to Bert Hellinger and insights as a student from the Shaolin Wahnam Institute in Chi Kung, Taijiquan and Zen. In this technique, we can experience the expansion and learning process of the level of consciousness. 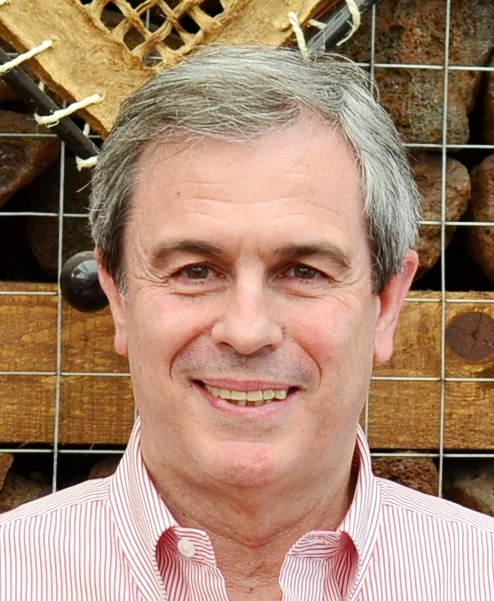 With more than 40 years of business experience, he has held several positions of responsibility in companies of multiple sectors and areas of activity. His experience as a businessman, together with his experience as business consultant dealing with a number of companies in many countries, has provided him with a broad understanding of organizations and companies. 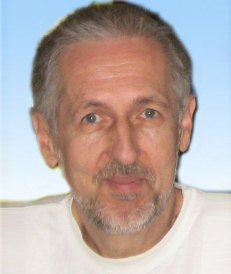 He is a facilitator and an international trainer on Organizational Constellations worldwide (mainly in Europe and Latin America – working in more than 30 countries). He has developed trainings and postgraduate programs in partnership with universities in several countries. 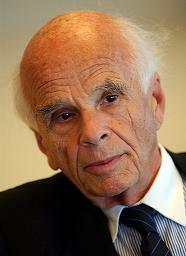 He also participates at international congress events as invited lecturer. He is a Master Trainer Certified by INFOSYON (International Forum for System Constellations in Organizations). Marianne worked for 28 years in primary and secondary schools. She became a holistic practitioner and a psychotherapist who incorporates primal therapy and body work into her practice. 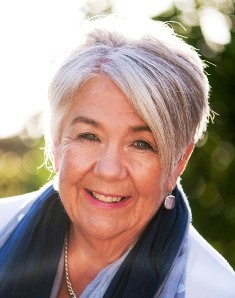 She has trained in a variety of systemic orientations including family constellations with Bert Hellinger, hypnotherapy and NLP. 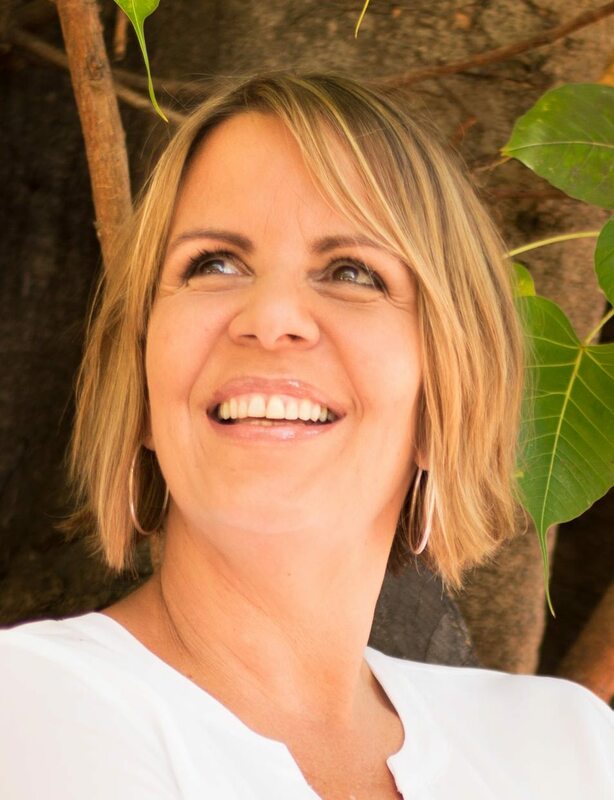 She leads family constellation workshops and trains therapists and teachers around the world to assist children using family constellations insights. She is a trainer for facilitators in the DGfS (Deutsche Gesellschaft für Systemaufstellungen). Presentation: What do our children and adolescents need to feel themselves to be in good hands? We work about the inner attitude of all persons who are involved in the field of education: parents, teachers, social-workers, therapists, nurses, medical doctors and leaders in the pedagogic and economic sector in view of the variety of the current requirements. Parents, teachers and medical doctors often feel helpless when it comes to meeting the physical, mental and emotional needs of children and adolescents. Systemic insights help us to gain a broader perspective regarding the attitude and actions of our children and thus offer new ways of relating with them. Relationships between parents and children, teachers and other members of the family seem to relax. We come to new insights about the dynamics behind dyslexia, depression, Attention Deficit Disorder and other symptoms. An awareness of these dynamics allows a school to flourish. Then it is possible to have fun at school and creativity is increased for pupils and teachers: the whole school becomes a learning field in its own right! Susan experienced an alignment, an activation of memory of ancient sacred wisdom connected to the land of Australia over 30 years ago. She calls it the Wisdom Keepers Way. Through her personal journey of acceptance, endurance and transformation, she has become a powerful catalyst for personal and planetary change. Susan holds a deep movement of expansion of self, holding a shape for individual, families, social and global change. In this workshop, explore the natural process of evolution taking place for the human race – giving it a voice. Investigate the daily reality of social and global changes and the impact of this upon us. Acknowledging a bigger picture of human reality is expressing through each of us, looking at what we are called to do with it. The emerging future is more than a thought. We cannot stop, control or manipulate it. We are a part of the movement of it, with human spirit moving forward. Walk the steps, navigate the journey of the family system, honouring the ancestors. Stand strong in the transition of change in the present, acceptance of what is – an emerging future, a bigger picture for us to live in. As we heal the traumas of human history in our family system, separation leaves us and connection in to the web of life opens in us creating a new story for humanity. Marina´s dad was an entrepreneur and her mom was a teacher and they are both present in her work as a Constellations Facilitator & Trainer and Founder of the Hellinger Institute in Canada, currently working in Canada, Spain, Argentina, Brazil and Mexico. She came into this work as a client in 2002 and, after participating in many workshops in Europe, decided to deepen her experience by training in it starting in 2009 in order to bring this powerful work to Canada, where it was not well known. She has taken over 20 courses with Bert and Sophie Hellinger in various countries and received her certificate by Hellinger Sciencia®. In addition, she was trained by 9 other trainers worldwide to gain an international perspective of this work, and is very grateful to all of them. Prior to Constellations, Marina worked representing two countries in other lands (Spain in Canada, Canada in Japan, where she lived for 2 years), graduated from York University in Mass Communications and Political Science, studied Business Administration and Adult Education and was always a seeker, which took her to different countries to study with the Sources (Germany, India, Japan, USA, Italy, Spain, Mexico) as well as with First Nations from Canada and Peru. The facilitator´s path can be felt as an individual journey of initiation where our profession and our life are interconnected and where we are living in The Field. In this experiential gathering, we will share and explore several aspects of our continuing journey, including the lessons behind the tests, the surrender to the calling, the solitary path, the gifts from our ancestors, etc. 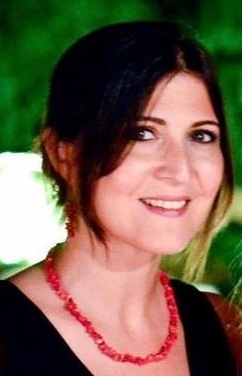 Maria Eugenia Sereni is a Counsellor focusing in Psychoanalysis. 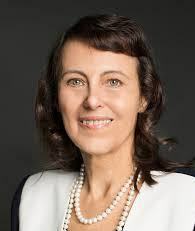 She is trained in Gestalt psychotherapy and Family Constellations, the latter mainly in International Intensive Trainings with Bert and Sophie Hellinger. She also has a special interest in exploring movements of Collective Trauma. 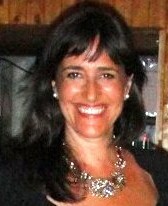 She is the director of Encuentro Conmigo, a centre in Argentina with three branches in Buenos Aires, Ushuaia and Río Gallegos, where she provides Family Constellations Trainings, Genogram workshops, Morphogenetic Field Research labs and Personal Development workshops in order to accompany people in their path to self-knowledge and awakening of their consciousness. Maria intuitively discovered that the graphical representation of the genogram is a code that reveals multidimensional fields of family constellations, which can be used in individual sessions. This led her to create a method that combines the genogram with Family Constellations, putting science at the service of intuition. Workshop will be in Spanish, translated to English. 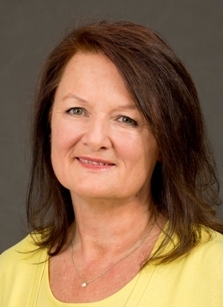 Katrina is the Chair of infosyon e.V (International forum for System Constellations in Organisations), and has been on the Board since 2008. She is passionate about systemic work, using it to support organisations and professionals in coaching and consultancy settings. Over the last 20 years, the field of organisational constellations has developed in numerous directions and in many different areas of implementation. It has become one of the most effective and innovative tools, used to solve complex challenges and gain access to implicit information. Though questions remain: Is the tool an established method in business settings? Is it being implemented as much as it could be? Would it be helpful to connect to other consulting methods? The focus of this workshop will be to show concrete examples of where Organisational Constellations are being successfully implemented, how hurdles have been overcome and to discuss where the path may lead. I have studied Fine Art and International Management and passed various training courses in systemic constellation, Gestalt therapy and coaching. Today, I consult organizations in branding and organizational development. 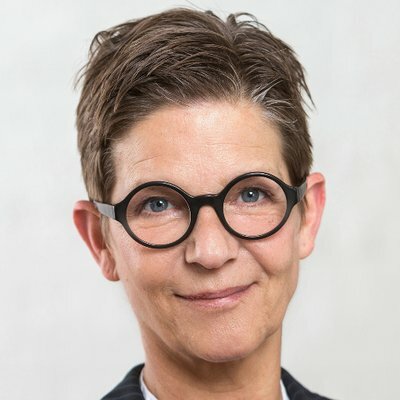 I have published various books and articles on the subject of systemic branding, organizational development and constellation work and was a guest lecturer at the European University of Applied Sciences and the University of St. Gallen. As a Dgfs – approved trainer for systemic and organizational constellations, I offer two-year training courses. I am the mother of an adult son and with my family I live in Cologne. My book publications include: “Strong Brands”, “Applying Gestalt to the Management of Brands and Organizations”, “Successful Legal Brands”, “Why do constellations work?” and “Theory and Practice of Organizational Constellations”. In contrast to common practice – and analogous to the ideas of systems theory – I define an organizational brand as a marked system. Every organization is a brand, whether it is aware of its brand identity or not. So the question is not whether an organization has a strong brand, but how strong it is as a brand. The identity of the organizational brand lies at its core, consisting of a vision, mission and values. These are – like a DNA – the guideline for the self-similar marked organization structure. Based on the format of Wilfried Nelles‘ Life Integration Process, I have developed the Brand Integration Process – BIP – to enable organizations to address aspects of vision, mission and values in their marking for the purpose of developing a strong brand design. The 6 defined positions of the format are vision, mission, values, organization, self-support and self-development. I will present the BIP in a 90 minute workshop. Kristine Alex is experienced in epidemiological research, international project management & development work in Africa. 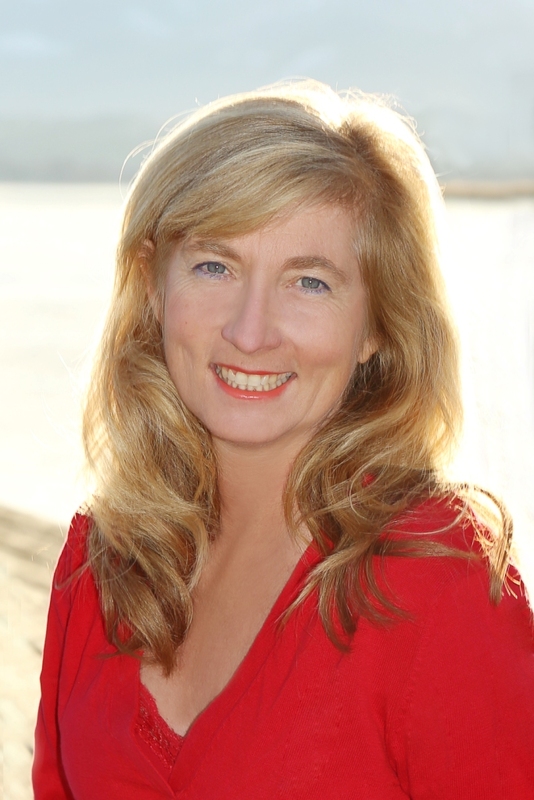 In 1997 she founded the international training Institute www.Systeme-in-Aktion.de in Bavaria, she’s a pioneer in Organizational, Place and body symptom constellations and offers DGfS certified trainings. She is the author of: “The orders of success”, “Places Remember”, “My Body Remembers” & many articles. Constellations make the special forces in one place visible and allow to clarify fields of resonance in order to live healthily, professionally successful and happy in one place. Is there something to clarify in my place of residence? Does the business location support my business? What makes me sick, what is stressing me in this place? How does my apartment become a HOME? Melissa has a deep love for nature. This initially led her to undertake two environmental Masters degrees and work in the field of ecological sustainability. In 2004 she came across evidence that animals and plants were capable of mind-to-mind communication with humans. Sceptical at first, she did extensive research to discover that these communications were not only real, but could bring immense benefits for both humans and other-than-humans. Melissa trained in constellations to facilitate such communications and the results have exceeded all her expectations. 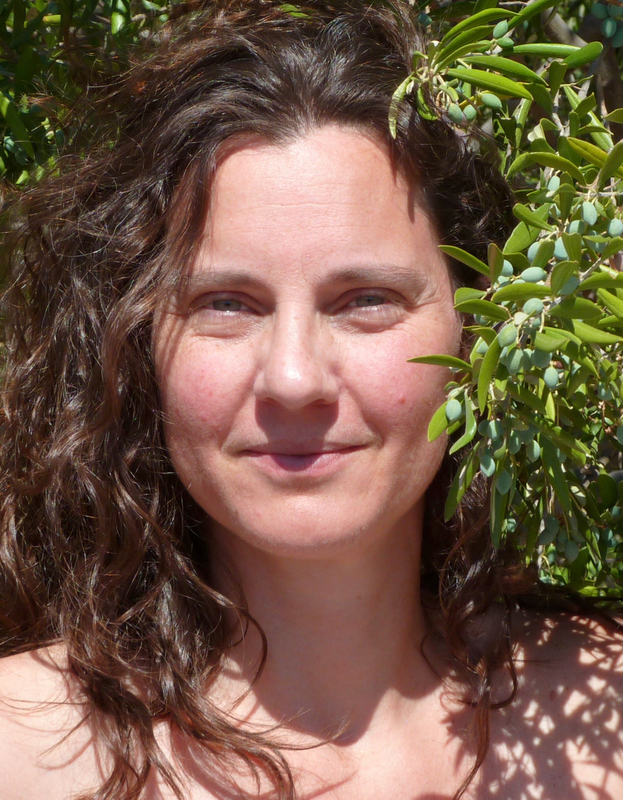 She has run public Nature Constellations workshops in the UK, Greece, Holland and South Africa, as well as tailoring the work for private clients such as universities, agricultural training centres, environmental organisations and landowners. In recent years she has been systematically researching both the process and outcomes and has recently published some of her findings in The Knowing Field journal (January 2018). Further details of her work can be found at www.forgottenconnections.org. Plants, animals and land provide our oxygen, our food and the places we live. We are absolutely dependent upon them. Mainstream industrialised culture treats these other-than-human beings as resources to be used however we want. This is considered acceptable because no beings aside from humans are perceived to have consciousness or intelligence. Nothing could be further from the truth. This workshop will begin with a brief overview of the evidence demonstrating that other-than-human nature is conscious and can be communicated with heart-to-heart and mind-to-mind. A few examples of how such communications are taking place in diverse situations will be shared, along with some of the wisdom and solutions that have emerged. While there are many methods to communicate with the other-than-human world, constellations are particularly powerful because they provide a way to actually step into another being’s roots, paws or hooves… and such direct experiences are often transformative. They also allow the entire human/ecosystem to be represented so that insight and healing can arise from the whole system to support the wellbeing of each part. Participants in the workshop will be guided through a short constellation in small groups to explore a relationship they have with an aspect of nature, as well as experiencing ‘being’ an other-than-human being. After time to digest and reflect, we are likely to do a whole group constellation on a nature-related question that arises within the space. There will be opportunities to address queries about this way of working, as well as hear about some of the outcomes. My intention is for participants to experience how valuable it can be to include other-than-human beings within our constellations. The wisdom and solutions which arise can be at practical as well as more esoteric levels. Constellations provide a wonderful way for us to collaborate with the web of life around us for the benefit of all. With the discovery of information as the basic ‘software’ of living systems came the realization that malfunction in the living system can be treated by correcting the information that causes the malfunction. 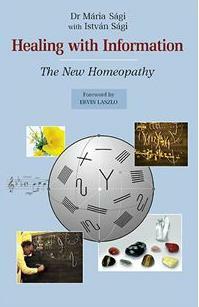 With this milestone book by a long-standing practitioner of this new kind of medicine, the door is opened to every healer and physician to complement his or her healing practice by diagnosing the cause of their patients’ health problems before they manifest as disease, and correcting the malfunction with non-invasive, testable and reproducible ‘soft’ methods. I was born in 1956., in Belgrade, capital city of Republic of Serbia, where I still live. I am Muslim by my mother, and Catholic and Orthodox by my father. I’m a graduate engineer of work organization, and a mechanical engineer. I am married and have two adult sons. Into the waters of bioenergy, I’ve sailed 30 years ago, while in the waters of systematic constellations 5 years ago, because classical medicine couldn’t adequately help my dear and loved ones. During that time period, I’ve met various teachers, and techniques (including shamanic vision). While I was trying to fix and change many things, that I didn’t accept as they were, in both work, and life (mine and others), I was getting into problems, and I didn’t feel good. I realized that I was resisting the life itself. Then after realizing that, I’ve let go, of all the resistance, and entrusted myself to something much bigger, to lead me. Then the calmness and peace came into my life, and into my being. My work is a combination of systematic constellations and bioenergetics work. That is individual, unique, and original work, which I do with the assistance of chess (board and pieces), and cards with names of numerous elements. From my experience, I’ve noticed that clients, are sometimes unable to open their soul and entirely receive, and perceive everything that the constellation gives them. The reason for that is the inadequate work of their chakras. That is exactly why I’ve connected my bioenergetics work with constellations, and upgraded them like that. Firstly, with my bioenergetics treatment, I check the state of chakras, aura, and health of my client, and if client has baggage from parents. Afterwards, with the bioenergetics treatments, conscious spiritual efforts, with assistance of music, colors, hands, third charka, and sixth charka, I affect client’s chakras and aura. With that, I eliminate the blockade and bring client into state of harmony. Then I bring client into meditation, grounding, and connecting with the ancestors. After, comes the short interview, I give chess to the client, and have client take all of the pieces out, and place them on the table, by his/hers own will. Further work is interaction between client, board, pieces, cards, and me. Various pieces are brought onto the board, each representing someone, or something. They are placed on arbitrary or chosen places, I’m looking at which ones are white, which ones are black, how are they affecting each other, who affects whom, and who is in the past, who in the present and who is in the future, the relations in the family are clearly seen, I observe and follow the behavior of the client, and client’s feelings, sometimes I would ask client how is he/she feeling, and sometimes I would change the location of pieces, and take a note of how it affects the client. I see all of that from the board and tell the client. Finally, I move the board away from us, we stand up, get closer to the board, and then we get to the ritual which consists of different body motions and healing sentences. At the very end, client gets back to his/her seat, I leave client alone for a little bit. I will demonstrate my work by working with someone present. 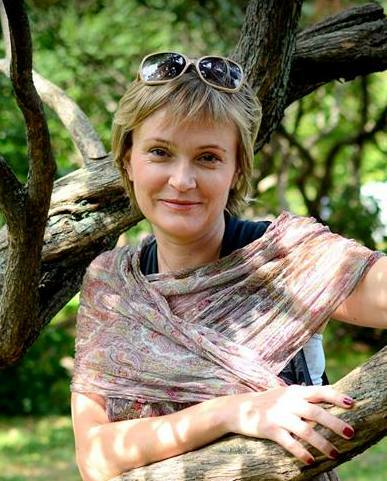 Anna Evstratova is a practicing psychologist and systemic constellator, taking part in wide range of educational programs as a teacher and a supervisor in Russia, Ukraine, Belarus and Kyrgyzstan. Activity of The Soul is multi-sided and cannot fit into the frames that our logic mind sets, neither into existent spectrum of knowledge . Therefore constellations in the metaphoric field provide us with maximum of freedom and ‘comfortable’ interface with the significant aspects of Psyche, its activity can show itself through sensitive representative and be accepted. The advantage of integrating the Constellation approach with the metaphorical is in easier revealing of a ‘resonance story’ , as well as bringing to the surface the layer of interpersonal, personal, family, national and archetypal background which needs to be transformed. In this type of work we obviously let ourselves be guided by the ‘Knowing Field’. For this Journey take a Key with you – any fairy tale, myth, parable, movie, dream, painting, that touches your Soul one way or another, resonating with something inside you. The workshop will be conducted in Russian, translated to English. Yelena Barbash is a constellator and a practicing psychologist. She is a Member of the Russian professional psychotherapeutic League, a certified NLP master, a certified Erickson hypnotherapist, a specialist in individual and group art therapy, and a certified system constellator. She specializes in psychosomatics and alternative medicine. A Physician by education, she came to Psychology after the uncertain circumstances of her anaphylactic shock, in order to find out how the unconscious affects the body. And is still finding it out! Two powerful methods: Ericksonian hypnosis and constellations are very effective with psychosomatic symptoms. Their merger gives a synergistic effect in individual counseling or when we have only one representative. Where there was trauma lies the true cause of the symptom (in the client’s personal history, in the prenatal period, or in family history. The movement along the timeline with the preservation of bodily sensations (somatic bridge) of the client or his representative helps to find this out. Healing trauma can occur in different ways, depending on it’s origins. 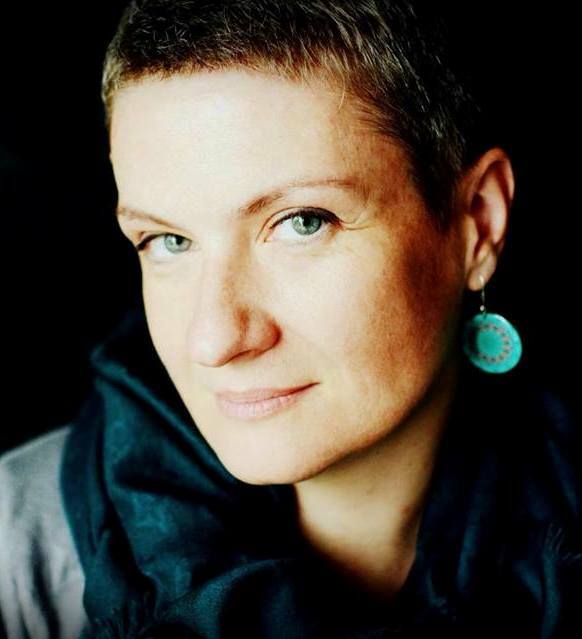 Lynn Stoney is an experienced systemic practitioner, facilitator, supervisor and trainer and a founder-member of Constellation Workshops which has been running workshops and other events in central London and elsewhere for more than 10 years. Lynn is an outstanding trainer. She is able to impart the underpinning principles of this deep and powerful approach with clarity, insight and sensitivity, and to support trainees to apply these in working practice and in daily life. Lynn has worked with groups and with individuals across a wide range of applications of this method for many years. This breadth and depth of experience brings great richness to her trainings. 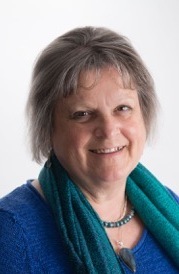 Lynn will offer a 90 minute session using examples from participants and her own experience to explore together what happens in real situations when we apply systemic principles in daily life. A practicing psychologist, a system constellator. Certified specialist of ICSR (Moscow), WISL (Germany) in the field of constellations. Many psychological schools rely on the understanding that the personality consists of many separate “I”, called sub-personalities. Knowing the nature of these internal parts and possible ways of interaction with each other is important and valuable for our mental health. The method of constellations is a very good way to make our inner space and the interaction of its parts visible. Theoretical part: Several theses which form the basics of working with the internal space. The presentation will be in Russian, with translation to English.